The Mind is the tool to change your world. War has left society on the brink of the abyss, held in a fragile balance of bitter rivals and capricious powers. Only we can guide the innocent through a second darkness and back into the light. Trust in us,and we will bring you to a new age of peace.... no matte the cost. 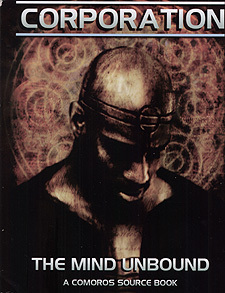 Unbound, the Mind grants strength and understanding beyond petty morals or the judgements of a fallen civilisation; the strength to do what must be down for the greater good.